is May 13th. The Seminole Heights Market is moving to its summer location this month, Southern Brewing & Winemaking. Pick Mom up something nice from Locale Market on May 7th. And 2 flavors of beer-infused olives will be for sale at Brews with Attitude on May 10th. Over 100 craft beers and ciders to sample from 25+ local breweries. Tampa's favorite food trucks, live entertainment, hand-rolled cigars and more. Beer-infused olives featured here. Ticket info. After 18 months, the Florida Cane Distillery has completed its relocation into Ybor City! Come join the Ybor Chamber of Commerce, the Ybor City Development Corp, and Mayor Buckhorn to celebrate. Food & drinks from 3 - 5 pm, ribbon cutting at 4:15 pm. 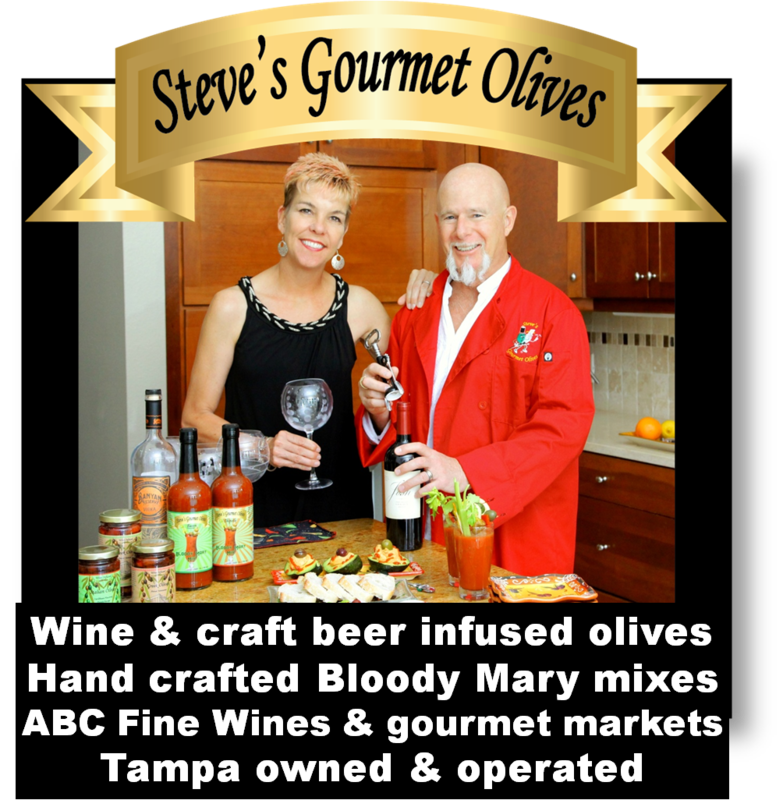 The following businesses carry Steve's Gourmet Olives. Not every location carries all products. More information can be found on-line at Locations. Samples, recipes and retail sales at all events.